A group including the world’s largest commercial satellite fleet operators has written the European Space Agency urging that it approve a new-generation Ariane 6 in time for a first launch in 2019 or face relegating the European rocket to commercial also-ran status. The letter to ESA Director Jean-Jacques Dordain makes clear that these fleet operators have a ho-hum view of the Ariane 5 ME vehicle that ESA governments are weighing alongside a new-generation Ariane 6. Given the advent of electric propulsion and the dramatic launch-cost reduction offered by Space Exploration Technologies Corp., the operators say, the new Ariane 6 needs to be in service by 2019 or face the risk that Europe’s Arianespace launch consortium will be permanently sidelined. The letter was signed by six members of the European Satellite Operators Association. Signatories included the chief executives of Intelsat, SES, Eutelsat, Inmarsat, Hispasat and HellasSat. That’s a pretty weighty group. Maybe it will break the impasse over what to do next. 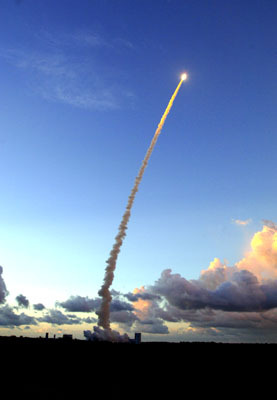 Ariane 5 ME is an interim step that would allow the Ariane 5 to carry heavier payloads. The launch vehicle carries one large communications satellite and a lighter one. Space News reports that ESA is weighing two options for its next-generation Ariane 6 launch vehicle as Arianespace cuts prices in response to competition from SpaceX. Meanwhile, satellite fleet operator SES is putting pressure on Europe’s launch vehicle industry to quickly reform itself. A European Space Agency bid-evaluation team is expected to deliver its judgment by July 5 on two different designs for a next-generation Ariane 6 rocket — one it has been examining for about a year, and another it only discovered June 18. The ESA Tender Evaluation Board’s recommendation will weigh heavily in a debate among a half-dozen European governments most concerned with launch vehicle production. Ministers from France, Germany and Italy are scheduled to meet July 8 in Geneva, at the invitation of the Swiss government, to solidify their own views of which way to go on Ariane 6. AMSTERDAM/ PARIS, June 16, 2014 (Airbus/Safran PR) — Airbus Group (stock exchange symbol: AIR) and Safran (stock exchange symbol: SAF) are further strengthening their relationship to propose a new family of competitive, versatile and efficient space launchers, to serve both commercial and institutional needs. Nothing is more gratifying than starting the holidays with good news! 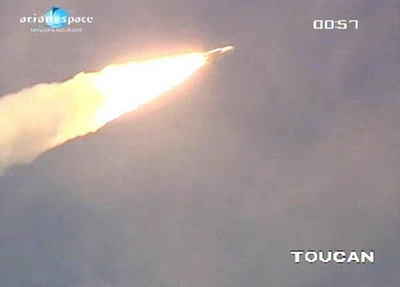 A good example of this is ESA’s Ariane 5 programme, which has taken some important steps in the closing days of the current year – the ordering of a further 18 Ariane 5 ECA launchers for the existing Ariane operations, the successful completion of ‘verification key points’ for the Ariane 5 ME ‘Midlife Evolution’ development programme and the start of construction work on a new upper stage tank facility in Bremen. As part of the preparations for the decisions in the launchers area, which will be made at the ESA Ministerial Council Meeting in Luxembourg towards the end of 2014, the Ariane 5ME development programme introduced a milestone to evaluate the current status. An expert panel, consisting of representatives of the space agencies ESA, CNES and DLR, as well as industry, reviewed the project intensively over a two-week period. The objective was to determine whether the technical, planning and commercial project goals are being met and whether the programme costs are under control. The massive response, which officials said was better than they dared expect, will now be evaluated by the 20-nation European Space Agency (ESA) as it crafts a proposal to its governments to finance Ariane 6. “Some of these responses have been extremely interesting and innovative,” said Jean-Yves Le Gall, president of the French space agency, CNES. 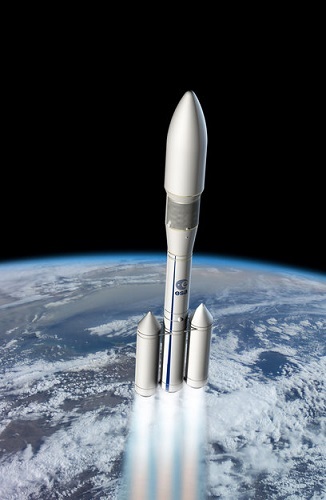 CNES has indicated it expects to maintain its leadership in Europe’s launcher sector by financing 50 percent of Ariane 6. 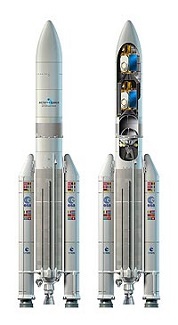 Ariane 6’s current design specifications call for a rocket capable of lifting a commercial telecommunications satellite weighing up to 6,500 kilograms into geostationary orbit at a maximum cost of 70 million euros, or $95 million at current exchange rates. PARIS (ESA PR) — In November 2012, European Ministers responsible for space, meeting in Naples, Italy, approved the start of preparatory activities for Europe’s next-generation Ariane 6 launch vehicle. 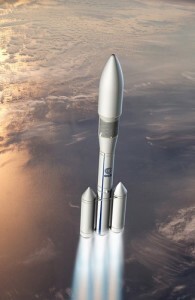 The objective of Ariane 6 is to maintain guaranteed autonomous access to space for Europe, while minimising exploitation costs and suppressing any support to exploitation. 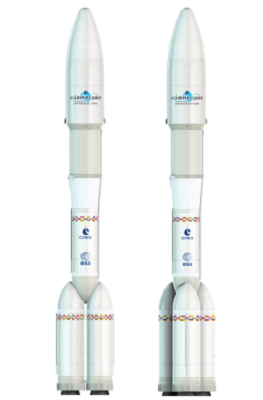 CNES has published an overview of the planned Ariane 6 launch vehicle, which could eventually replace Ariane 5 in 2021 if the project gains the support of ESA members next year. COLOGNE, Germany (DLR PR) — On 20 and 21 November 2012, delegates from the 20 member states of the European Space Agency (ESA) and Canada met at the ‘Mostra d’Oltremare’ conference centre in Naples, Italy. The start of the ESA presidency of Switzerland and Luxembourg was characterised by intensive and success-oriented negotiations. After two days of thorough discussions, the Council Meeting at Ministerial Level was successfully completed and the German positions on the future of the European Ariane launcher and utilisation of the International Space Station until 2020 were adopted. The basis for this agreement was joint Franco-German discussions. The delegations agreed the financing and contents of European space programmes for the coming years. In total, space programmes worth around 10 billion Euros have been decided upon. The German Federal Government will be responsible for a total of around 2.6 billion Euros over the next few years. This makes Germany the strongest contributor among the ESA partners, giving it the largest share of the overall programme. Wrapping up two days of meetings in Naples, Italy, ESA’s ministers decided to back a plan to provide a service module for NASA’s Orion MultipurposeCrew Vehicle (MPCV) but delayed any decision about the continent’s next generation launcher. The first, he said, is the nonmarket economies of Russia, China and India, all of which either have or are developing rockets to compete with Arianespace’s fleet of vehicles. Unfortunately for Le Gall, there is no consensus among European space officials about how to meet these threats as an ESA ministerial meeting looms at the end of November. A six-month joint French-German government study of future launch vehicle and space station investment options has reinforced the German space agency’s preference for an upgraded Ariane 5 rocket instead of a new-generation Ariane 6, and cooperation with the United States on a U.S.-led crew vehicle instead of a European-led alternative, the agency’s chief said Aug. 21. Johann-Dietrich Woerner, chairman of the German Aerospace Center, DLR, insisted in an interview that he was speaking only for himself, and not for the German government….